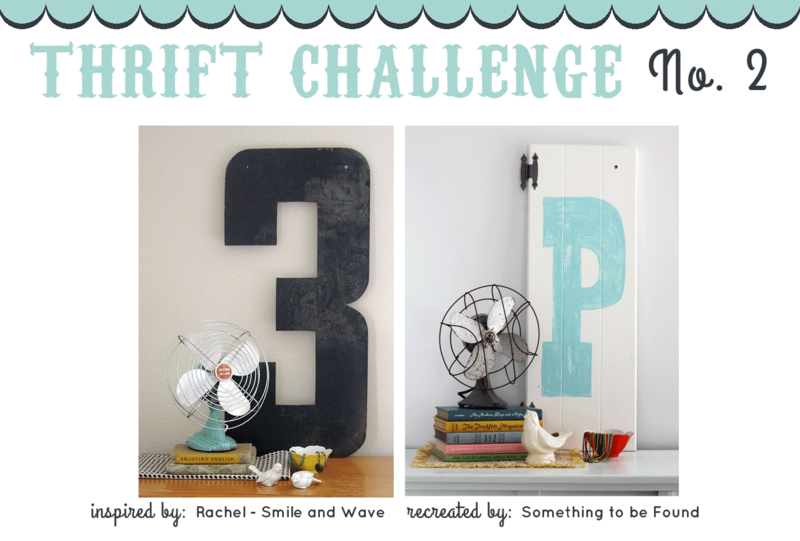 It's Thrift Challenge Reveal Day, my new favorite day of the month! 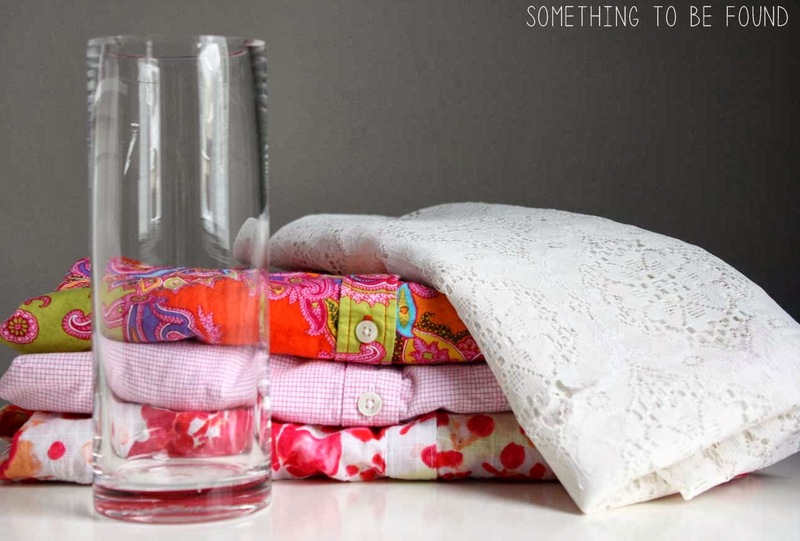 Thrifting some of these pieces was a real challenge, but there's nothing better than being on the hunt and successfully finding exactly what you're looking for! I was able to recreate the inspiration photo for just $17.50. 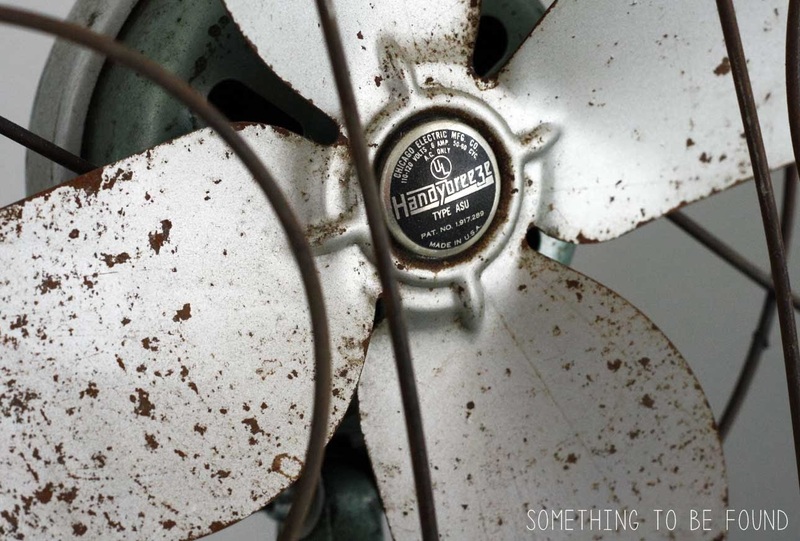 I found the vintage Handybreeze fan at the The Bomb Shelter by being a little bit nosey! It was actually back in a roped off maintenance/cleaning area and I caught it out of the corner of my eye as I was headed up to the register to buy a few other things. It was on a cart with about TEN other fans (fan heaven!) so I simply asked if I could buy one (it never hurts to ask!) and they said of course! The Bomb Shelter also had a ton of big old letters. Like tons and tons and TONS of them! They were about $30 a letter (depending on size), which isn't bad, but since they didn't have a letter "P" (for our last name) in a color I liked I didn't get one. 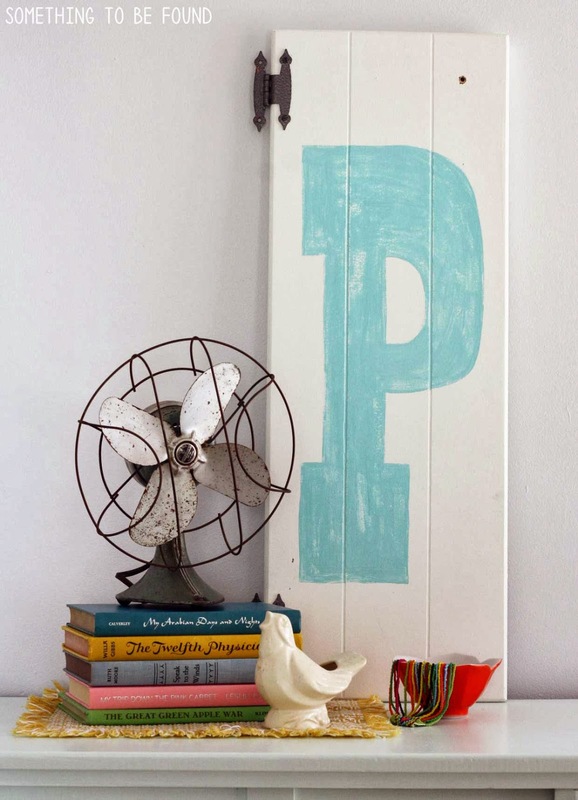 Since I only had a few more days to complete the challenge I decided to attempt a DIY Version by painting a letter on an old cabinet door that I picked up at Givits Thrift & Recycle in Hudson. 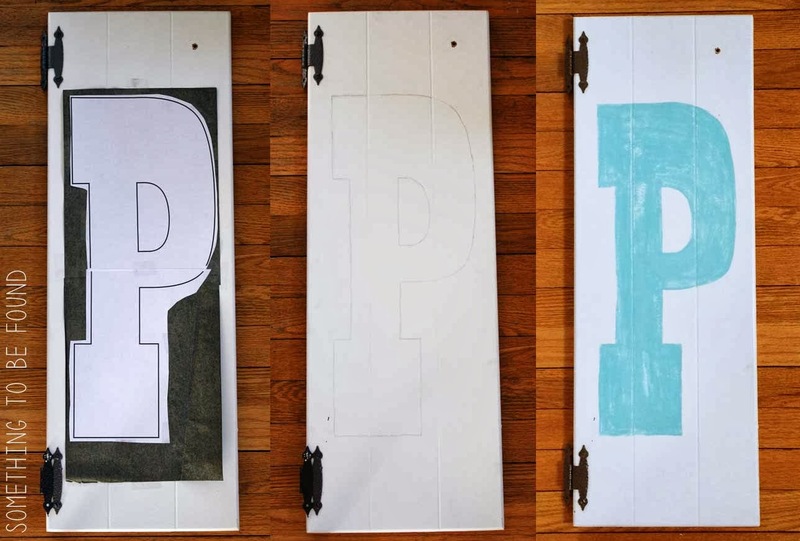 Quick tutorial: Print off your letter, trace it on the cabinet using carbon paper, then paint with your color of choice and distress with a sanding sponge. I love how it turned out!! 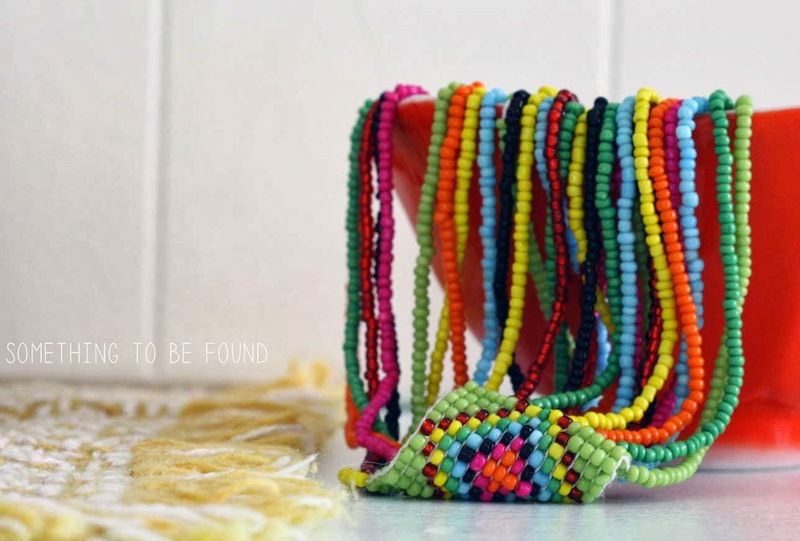 In fact you may see something like this reappear in that Etsy shop I'm always talking about starting. And let me tell you about trying to find the birds! I see shelves full of little ceramic figurines at thrift stores all the time so I assumed that included little white birds. Wrong! It's all angels, swans, and cats. 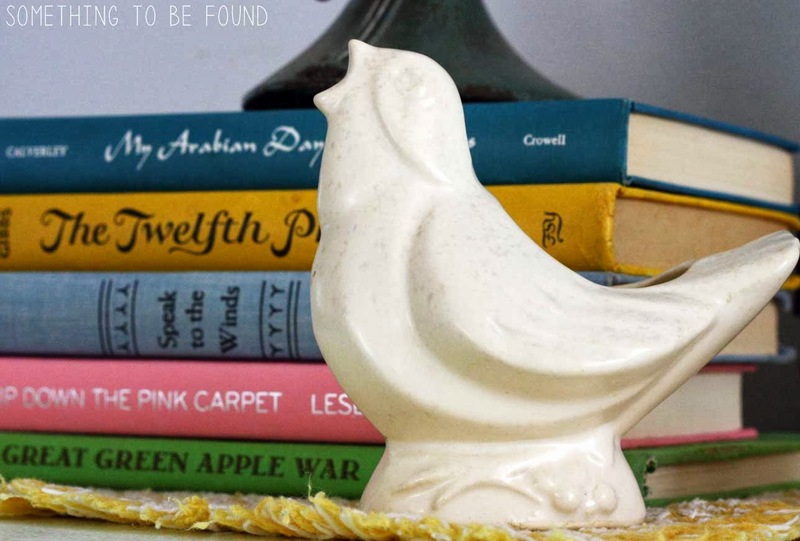 Thanks to Dina though, she was able to find me the one and only white ceramic bird available in all of Northeast Ohio at a Salvation Army in Akron. Thank you Dina!! I found this orange lotus bowl a few years ago at an estate sale, and the beaded tribal necklace came from a garage sale. Thrift Challenge No. 2 is complete! Thanks to Smile & Wave for the inspiration! And NOW it's time to go check out Dina's fashion challenge! I gave her this super sassy sequin & chambray outfit. She gave us a sneak peek of her version here -- but let's go over to Dina's Days and see the FULL outfit reveal! 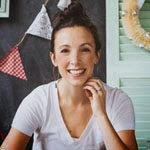 The next Challenge will be given on March 3rd and we're excited to announce that it will be our first reader challenge! That means we want YOU to get in on the fun and show us your version of our challenge photos. Stay tuned for details! The Olympics have inspired a triple Twinsie Tuesday. Not a triplet Twinsie Tuesday like this one, but a triple set of twins. And what I love most is that two of these were sent to me by friends and family. It totally makes my day when I get a text or email with Twinsie spottings that people want to share. First up is this one sent to me by my dad. 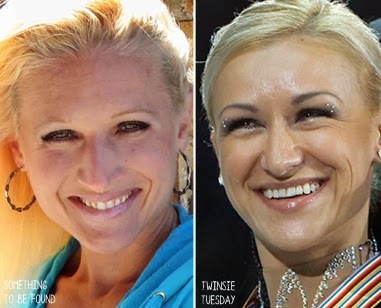 Michelle, on the left, is a family friend, and on the right is Russian Pair Skater (and gold medal winner), Tatiana Volosozhar. This blew me away! Ito took my mind a second to register which one was actually Michelle! Next is one that made me laugh out loud when I received the text from my old co-worker, Christina. She said "I got a Twinsie Tuesday for you...And it's you!!! It's the USA Pair Skater that won gold. 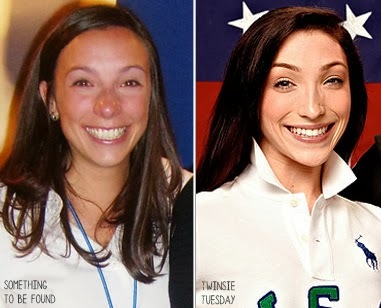 Meryl Davis looks just like you." At first I didn't think so, but after doing this side by side, I can see the resemblance! 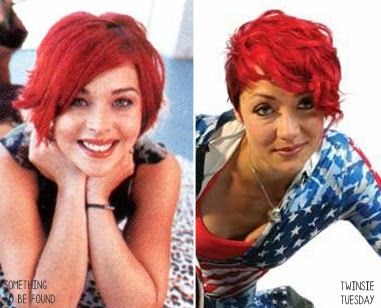 And last is Season 1 American Idol finalist Nikki McKibbin and Katie Uhlaender, American Skeleton racer. 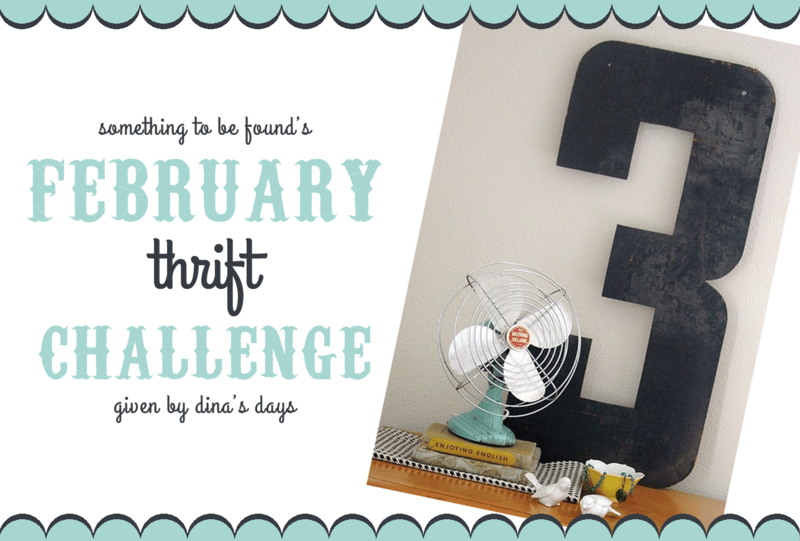 And speaking of things that look alike, check back tomorrow to see the big REVEAL for the February thrift challenges with Dina's Days. She attempted to recreate this hot sequin number and I this vintage-inspired vignette. At the craft table I taught people how to make DIY, no-sew fabric flowers to decorate a vase. Shoppers, local news reporters, and Goodwill employees liked the craft so much that I thought I should share it with you, just in time for Valentine’s day! 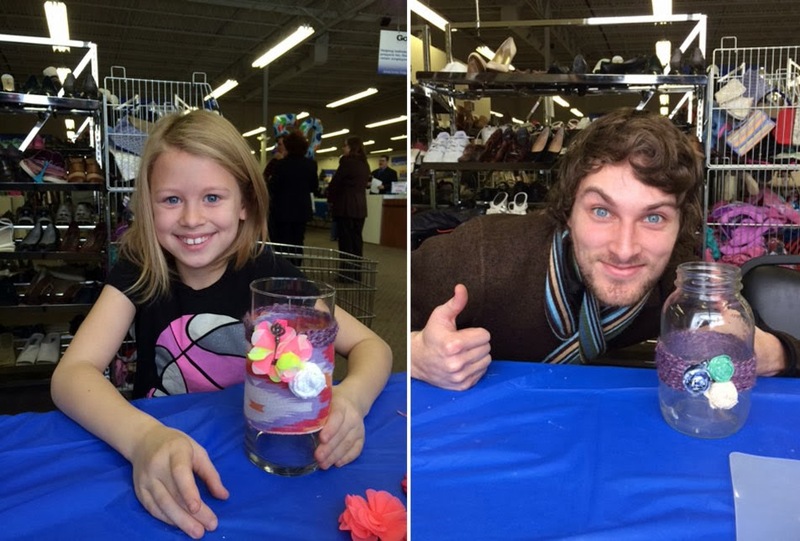 From left, Goowill Shopper, and Dillon, a reporter from Richland Source. 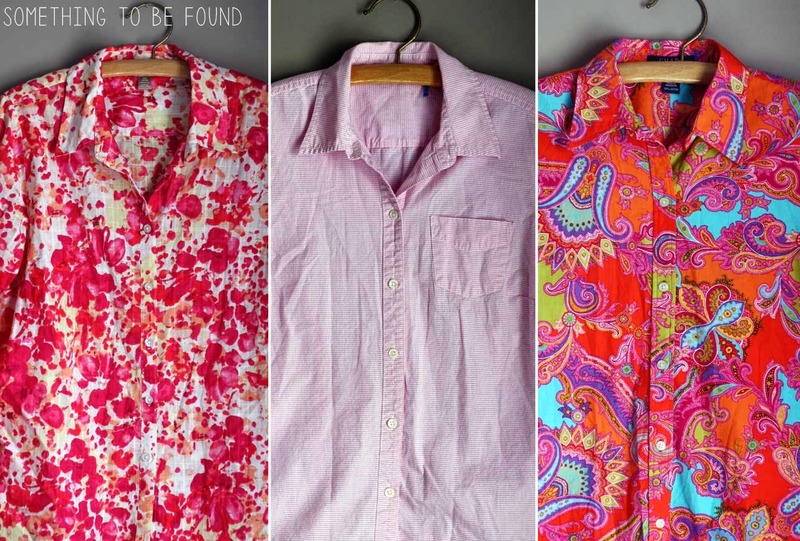 For my fabric I bought a collection of pink shirts and a lace curtain from Goodwill. They always have a HUGE selection of vases. Take your pick! 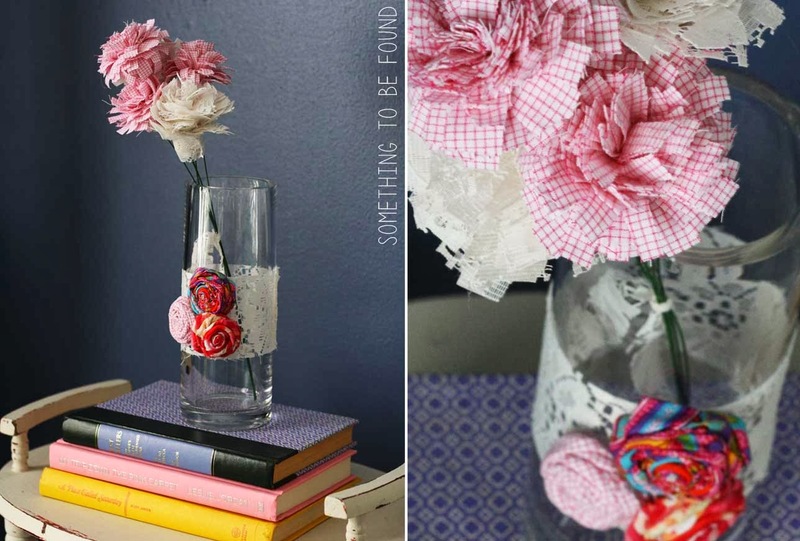 STEP 1: Cut a Strip of fabric to wrap around your vase. It can be as tall or as short as you want , just make sure it will wrap all the way around the vase with a little extra for folding and gluing. STEP 2: Cut a long strip of fabric approx. 20” long and 1.5” wide. 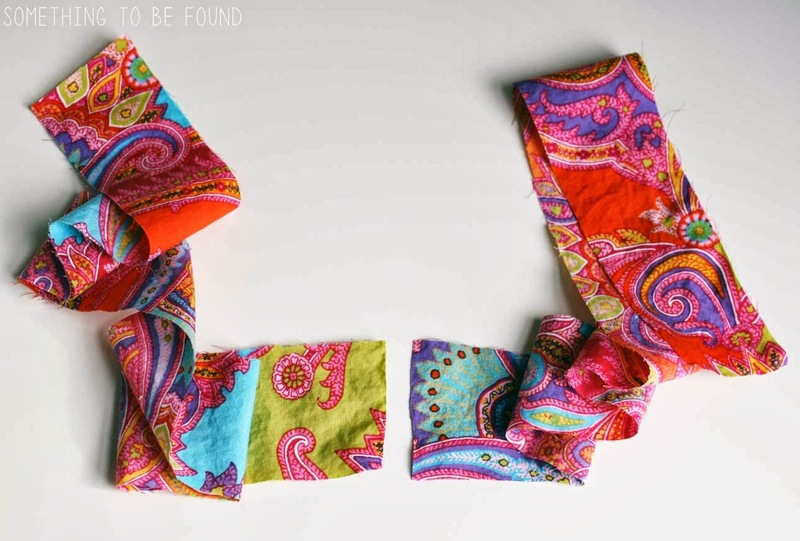 Depending on the size of your fabric you may not be able to cut a piece 20” long. If that’s the case, cut two shorter strips then glue them together to make one long strip. STEP 3: To create the rolled flowers you start by making a tight bud for the center. 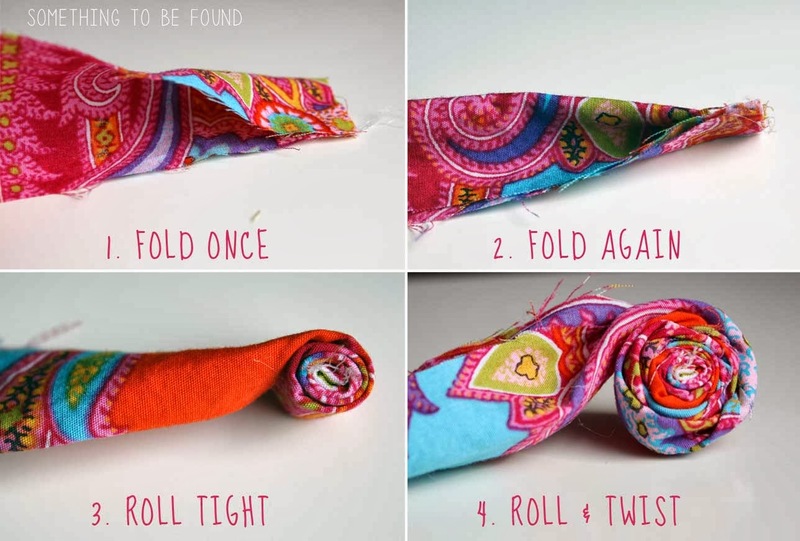 Simply fold your strip in half once (secure with a dab of glue), then fold it again (secure with a dab of glue), and tightly roll the fabric around the center 5-6 times securing with glue every few rolls. Once the tight bud is complete let the long strip of fabric unfold once and start rolling and twisting the fabric around the bud, securing with glue every few rolls. 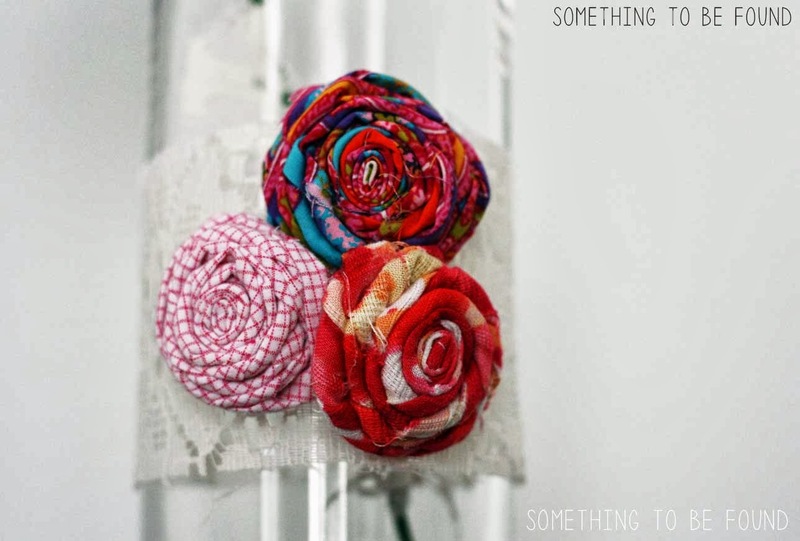 The twisting of the fabric is what will give the flower its dimension. Step 4: Once you’ve got the flower to a size you want it, secure the end of the fabric in place on the flower with a dab of glue then trim off any extra fabric from the strip. 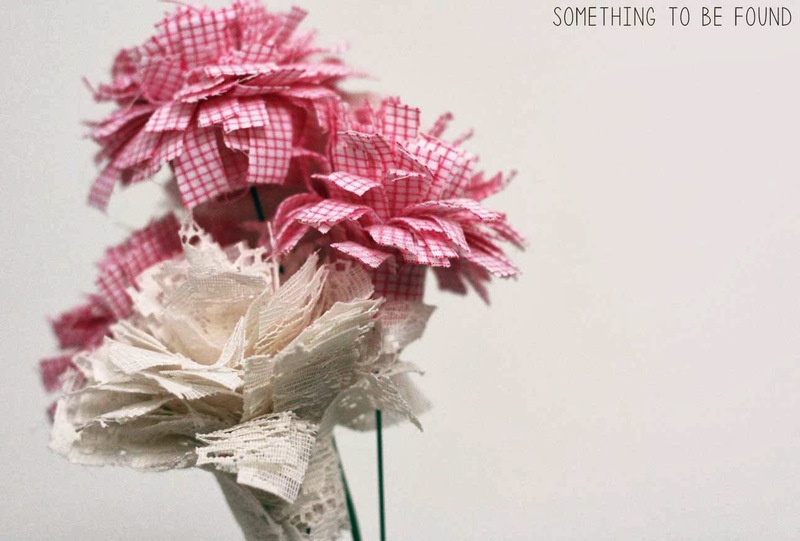 I like to leave about a ½” of fabric so I can tuck it underneath the flower and glue it to the bottom. 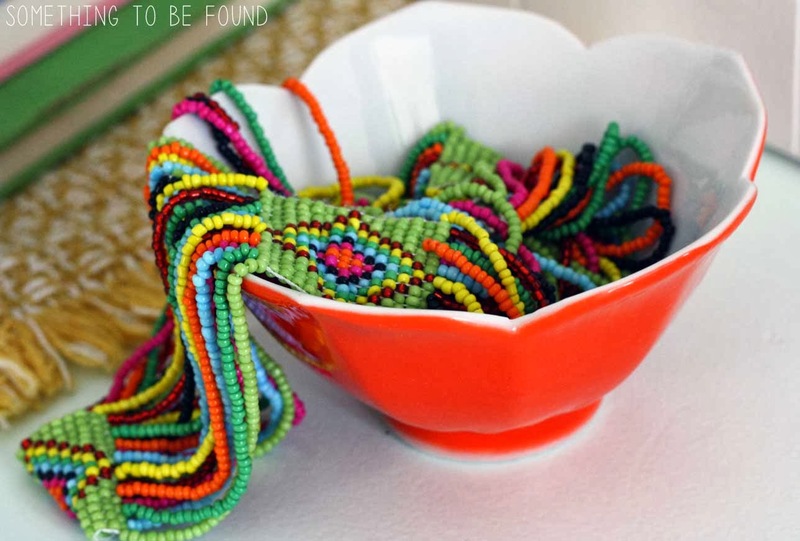 For a video tutorial, check out this post from the Cherry Street Cottage blog. 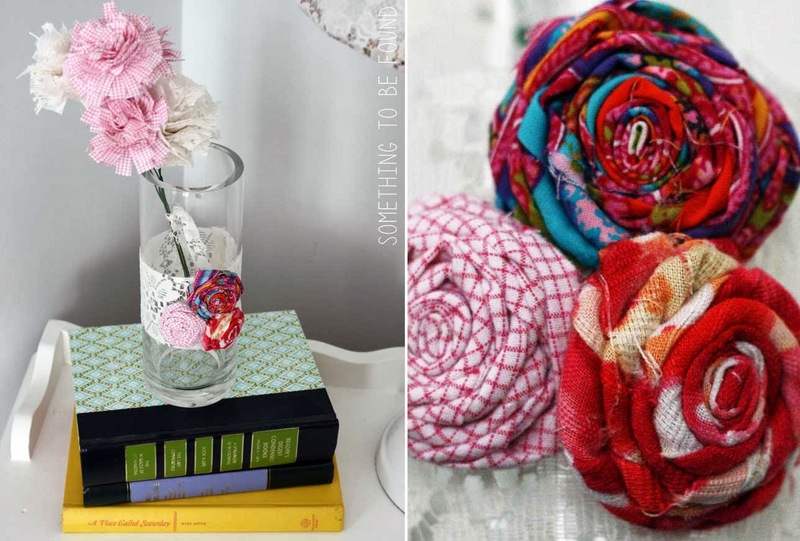 Repeat Steps 3 & 4 with all your fabrics to create additional flowers. 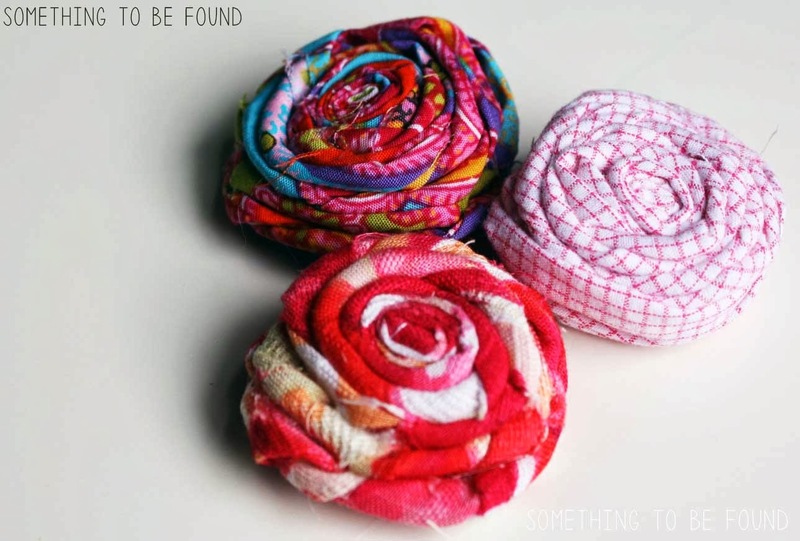 As you can see, the different types of fabric roll a little differently so it gives the flowers a variety of textures and shapes. 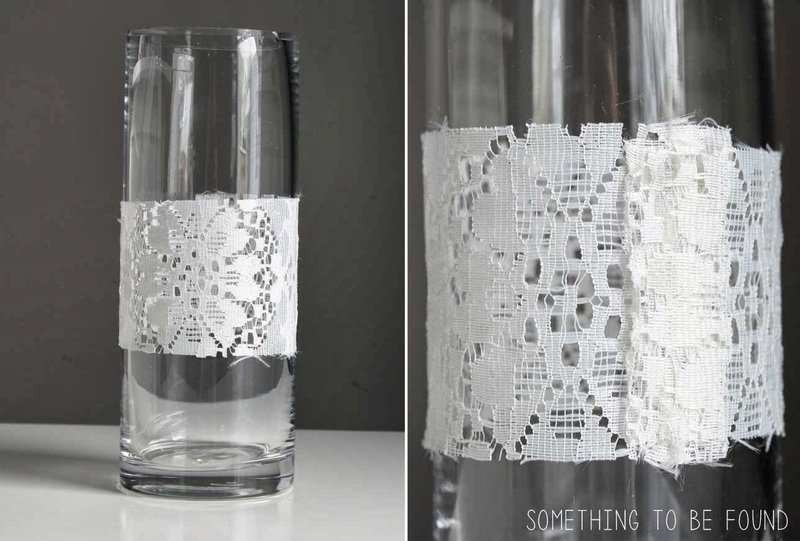 Once these are complete, glue them to the strip of fabric wrapped around your vase. Step 5: Cut two long strips of fabric, approx. 20” long and 1.5” wide. Those dimensions can vary though depending on how big or small you want your Fringe Flowers. Lay the strips on top of each other and cut slits close together down the entire length of one side of the strips. Start tightly rolling the strip together using dabs of glue along the way to hold in place. 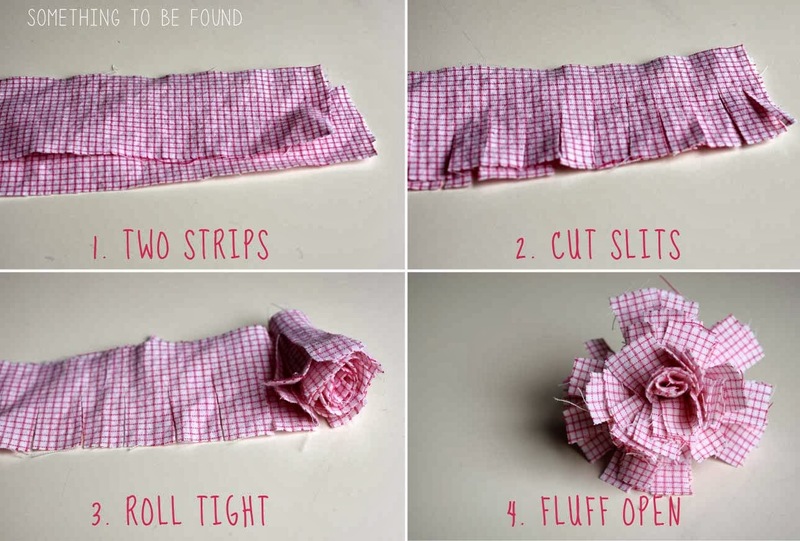 Once it’s completely rolled, fluff open the fringed pieces to create the flower. Step 6: Attached the flowers to some floral wire using hot glue. 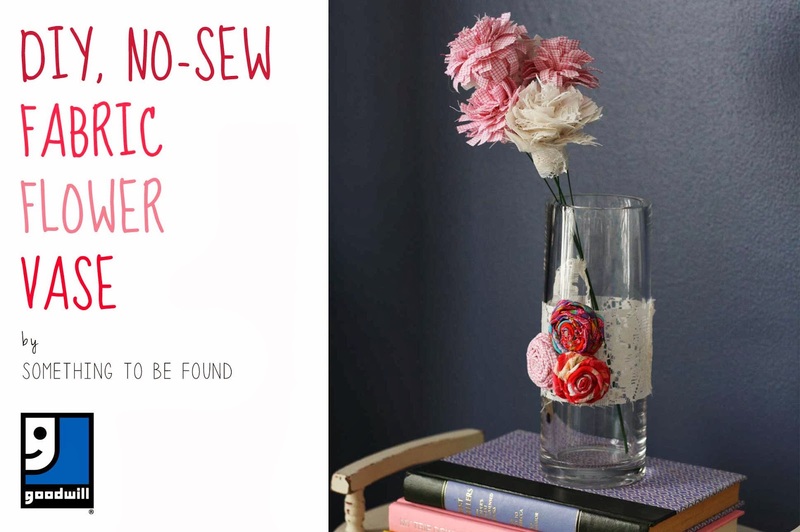 If you don’t have floral wire you could use skinny doll rods, wire from a hanger, straws, pipe cleaners, or whatever else you have in the house! Step 7: Place your bouquet in the vase. Step 8: Give it to your Valentine... or keep it for yourself and find the perfect spot in your house to display it!! Dina definitely knows my style! For this month's Thrift Challenge she picked the perfect vignette (from Smile & Wave) for me to try and re-create. 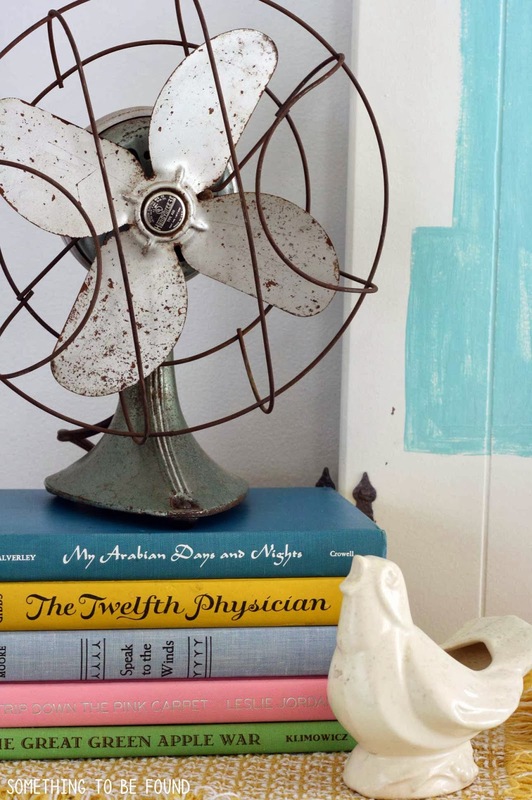 I not-so-surprisingly already have an olive green lotus bowl but I'll need to do some serious hunting for a vintage fan and a huge number. Wish me lots of thrifting luck! As for Dina, I really challenged her with a super chic, super hot, super sequin ensemble. 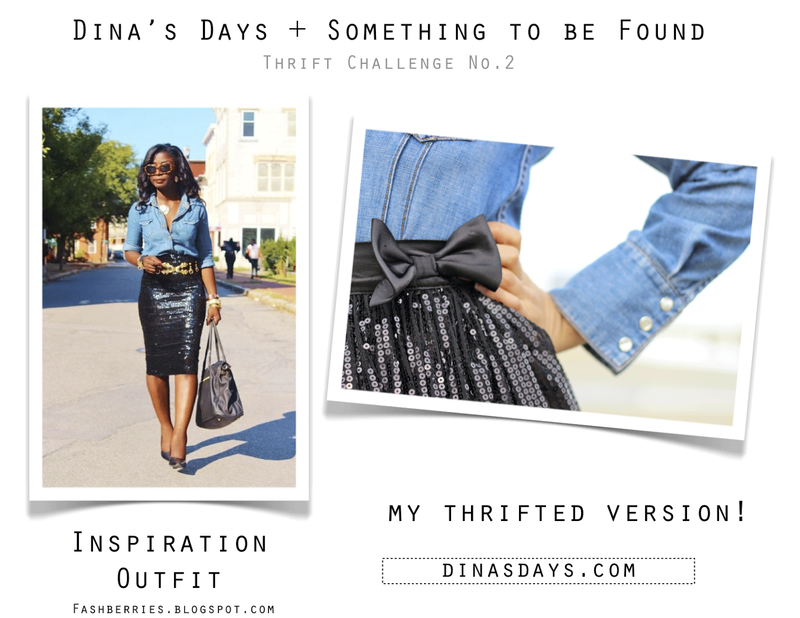 I think it's going to be really tough to re-create it from only thrifted pieces, but if anyone can do it it's Dina! See the outfit by clicking here. We'll be revealing our completed challenges on February 26th. Stay tuned! !